Michael J. Molder applies 30 years of experience as a Certified Public Accountant and litigator to help investigate and analyze cases with complex financial and economic implications. He has acted as both counsel and accounting expert in pending and threatened litigation as well as participating in internal investigations of financial misconduct. He has also performed valuations of business interests in a wide variety of industries. Mr. Molder is a graduate of the Pennsylvania State University (B.S. 1984) with a degree in accounting. He began his professional career as a staff accountant with a multi-national accounting firm where he teamed with senior audit staff and managers to work on numerous large and small clients and participated in audits involving particularly complex issues. During the seven years of his initial accounting career, Mr. Molder progressed to the position of Supervisor in the accounting and auditing department of a regional firm. Through the years of his initial accounting career, he participated in or was responsible for the preparation or examination of the financial statements of businesses in a wide variety of industries ranging from clothing manufacturing to life and health insurance to investment management to education to food service. While at that regional accounting firm, Mr. Molder served on the firm’s Accounting and Auditing Committee, an elite group of professional staff and partners that was responsible for evaluation of the firm’s compliance with then-newly promulgated generally accepted accounting principles (“GAAP”) and generally accepted auditing standards (“GAAS”). Mr. Molder was also one of the firm’s three pre-issuance quality control reviewers ultimately responsible for the firm’s compliance with GAAP and GAAS on all appropriate reports that the firm issued on client financial statements. Mr. Molder was also a certified peer reviewer who participated in reviews of other accounting firms under the American Institute of Certified Public Accountants’ Peer Review Program. In 1991, Mr. Molder received his Juris Doctor from the Temple University School of Law. From 1992, Mr. Molder focused his legal practice almost exclusively on litigation involving financial misconduct and manipulation of accounting systems. Mr. Molder was one of the principal attorneys involved in investigating hundreds of private corporate and commercial and residential real estate financing transactions in In re Westinghouse Securities Litigation, a lawsuit which resulted in a $67.5 million recovery for Westinghouse investors. Mr. Molder was also a member of the team of attorneys that prosecuted claims on behalf of hospitals and others related to price fixing by manufacturers of medical x-ray film. This case involved extensive analysis of the manufacturers’ financial information and pricing structures. Mr. Molder was lead counsel in the investigation of the financial misconduct of Equipment Leasing Corporation of America in Neuberger and Scott v. Shapiro, et al, E.D.Pa. 97-CV-7947. His detailed financial analyses resulted in a pre-trial settlement that recovered more than fifty percent of the losses that class members sustained and almost twice the limits of insurance that defendants claimed was available. Based in large part on Mr. Molder’s accounting expertise, Judge Vaughn Walker appointed his firm lead counsel in In re Cylink Securities Litigation, N.D.Ca. C-98-4294 VRW. This action alleged material misrepresentations in the company’s financial statements resulting from significant and repeated violations of GAAP requirements for proper revenue recognition. Mr. Molder’s analysis of the financial records of this company led to a pre-trial settlement in which the plaintiff class recovered 13.6% of estimated losses, compared to median recovery of 5.1% in similar cases. In 2006, Mr. Molder returned to public accounting, joining the Forensic & Litigation Services practice of Margolis & Company, which later became Marcum LLP. 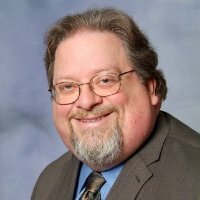 As a Senior Manager, and later Director, at Marcum, Mr. Molder applied his legal and accounting expertise assisting attorneys and their clients better understand the financial aspects of disputes and the economic ramifications of alternatives. He has served as valuation expert for both plaintiffs and defendants in commercial litigation matters and owner and non-owner spouses in matrimonial dissolutions. He has participated in the valuations of businesses in a wide variety of industries, including: food service, wholesale and retail distribution, literary development & production, healthcare, manufacturing and real estate development. Mr. Molder has also investigated and valued damages in a wide variety of litigation contexts ranging from breach of contract claims to personal injury cases, and from employment disputes to civil fraud. Mr. Molder has consulted on many matters which have not involved the issuance of a report for litigation or resulted in deposition or trial testimony. Accordingly, the identity of these matters is protected by attorney client privilege. In addition to being a licensed attorney and Certified Public Accountant, Mr. Molder holds a Certified Fraud Examiner credential from the Association of Certified Fraud Examiners. Mr. Molder is also a Certified Valuation Analyst and Master Analyst in Financial Forensics through the National Association of Certified Valuators and Analysts.